Filipinos are deeply superstitious. Many still believe that a pregnant woman’s cravings (paglilihi) affect her child’s development. Some do not wash their hands after hours of rigorous work to avoid pasma. Some go as far as trusting an albularyo or even a manghuhula for seeking health remedies or advice. 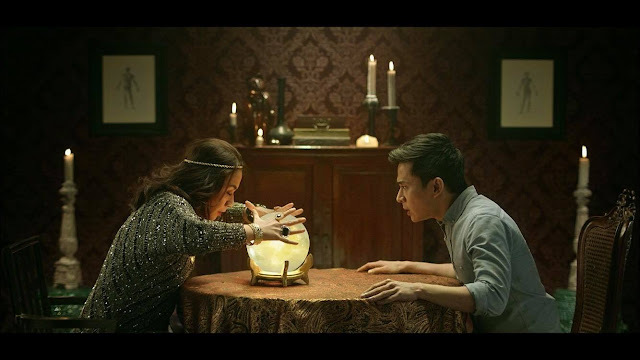 In Pru Life UK’s newest television commercial which you can watch at https://youtu.be/pkv8ZUJHXYc, a fortune teller reveals a man’s fate through palm reading, tarot cards, and a crystal ball. After finding out his future, she gets scared and runs away, leaving the poor man alone and clueless. Would you trust someone like that with your future? Luckily today, you can rely on science-based technologies such as myDNA Pro to understand how your body responds to lifestyle, food choices, and certain chemicals. For instance, if the results show that your body requires help to absorb calcium, you can follow a personalized diet or wellness program based on your own biology. Through the myDNA Pro Program, you can also identify your predisposition to the “three highs” of health risks—type 2 diabetes, high blood pressure, and high cholesterol—using your DNA. However, having genes related to these illnesses does not mean that you are sick or that you cannot escape these conditions. By knowing your DNA, you can create an action plan to mitigate the development of these illnesses. Pru Life UK’s myDNA Pro Bundle will give you detailed knowledge about your body, so that you can make the right choices when it comes to your future. The package combines financial protection through Pru Life UK’s insuravest or investment-linked life insurance solutions with myDNA Pro Program, a health and wellness program that provides comprehensive genetic testing to assess your medical risks and opportunities. It will also guide you towards having a healthy lifestyle through scientific DNA-based fitness and wellness recommendations, as well as offer a better alternative to trendy programs or superstitious beliefs. To learn more about Pru Life UK’s myDNA Pro Bundle and various insuravest products, visit prulifeuk.com.ph/mydnapro.